"The Hudson River Waterfront on the Upper West Side: 400 Years of Conflict & Change"
Dr. Kurt Schlichting, Professor of Sociology ​and author of Waterfront Manhattan: From Henry Hudson to the High Line, will tell how it once seemed inevitable that the Upper West Side’s Hudson shoreline would be developed for shipping and maritime commerce, but that is not what happened. Dr. Schlichting's illustrated talk will consider how the New York Central Railroad, technological changes within the maritime industry and other political and social forces throughout the centuries have combined to give us the waterfront we have today. ​Fran Leadon will speak of his book Broadway: A History of New York in 13 Miles. ​See a complete list with links to all 34 BNHG Blogs at BNHG BLOGS. Missed one of our Past Events? Thanks to the Columbus Amsterdam BID, videos of past BNHG presentations are being added to our website. Check out the latest additions at the PAST EVENTS page. On October 16, 2018 the BNHG presented its first annual Jim Torain award to Peter Salwen, noted author, painter and historian, for his research and sharing of local history. We Are Staying: Eighty Years in the Life of a Family, a Store, and a Neighborhood by Jen Rubin "outlines the tale of a successful family, storefront business with panache, and it includes the New York story of beginning, striving and belonging, and of heart, soul, and compassion for customers and workers. Just be sure you don't miss it." 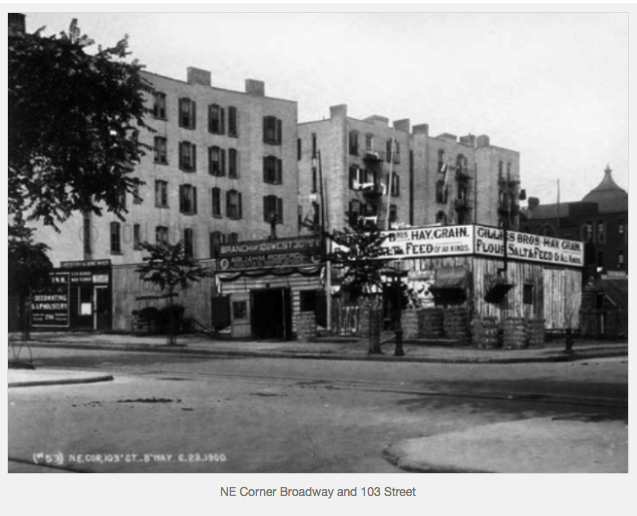 The Bloomingdale Neighborhood History Group promotes education and research on the history of the Bloomingdale neighborhood of New York City's Upper West Side from 96th to 110th Street between Central Park and Riverside Drive. For more than 300 years, the area has been referred to as Bloomingdale after the Netherlands town of Bloemendaal, Dutch for "valley of flowers." Learn more about our group's activities at our ABOUT US page. The Bloomingdale Neighborhood History Group began in 2000 as the Park West Neighborhood History Group. ​branch of the New York Public Library, public access to the collection is limited. Come visit the collection when the library reopens in late spring of 2020. 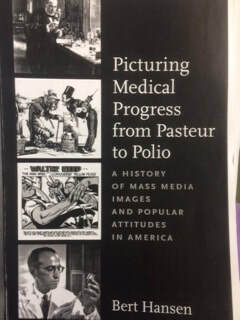 The BNHG Library Collection, located at the Bloomingdale branch of the New York Public Library, contains more than a thousand items of local history in 150 categories, for example, this book excerpt from the "Pasteur Institute" file. Explore the history of your Bloomingdale neighborhood. Come to the library to explore the many items in this file and the 150 other files! More information at BNHG Library Collection.